Welcome to Kassis Karate Academy, traditionally and intertnationally known by our Japanese name SHITORYU KARATE-DO AUSTRALIA SHITOKAI - recognised as one of Australia's leading karate schools based in the north, north-eastern region of Melbourne Victoria. We are experts in teaching people authentic, quality karate. If you are a traditionalist, a sports enthusiast, or simply a parent wanting your child to attain fundamental life skills, we can help you. We are extremely passionate about helping people learn karate and we love empowering our valued members to be the best they can be. They teach and train karate lessons in Melbourne with their team of skilled instructors and assistants. Con and Rosanna primarily teach at the school's headquarters in Tullamarine and also at Cairnlea. Other branches taught by our own qualified karate instructors include Deer Park, Gisborne, Keilor Downs, Riddells Creek, Romsey and Strathmore. Associated clubs are also located in NSW, Queensland and Western Australia. Tokyo 2020 here we come! Since Karate was recently announced the newest sport to be included in the Olympics, there has been a wave of excitement amongst the world-wide karate community. But only affiliates of the Australian Karate Federation (AKF) can be considered eligible. 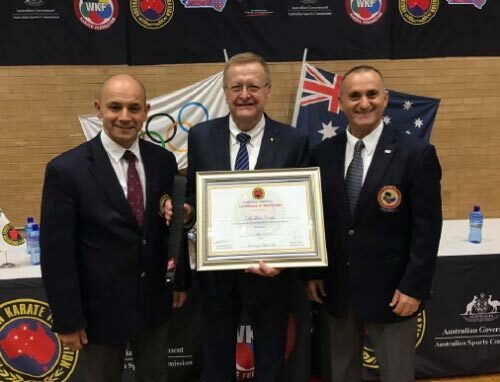 Not all karate schools are affiliated and therefore not all are recognised by the Australian Olympic Committee. 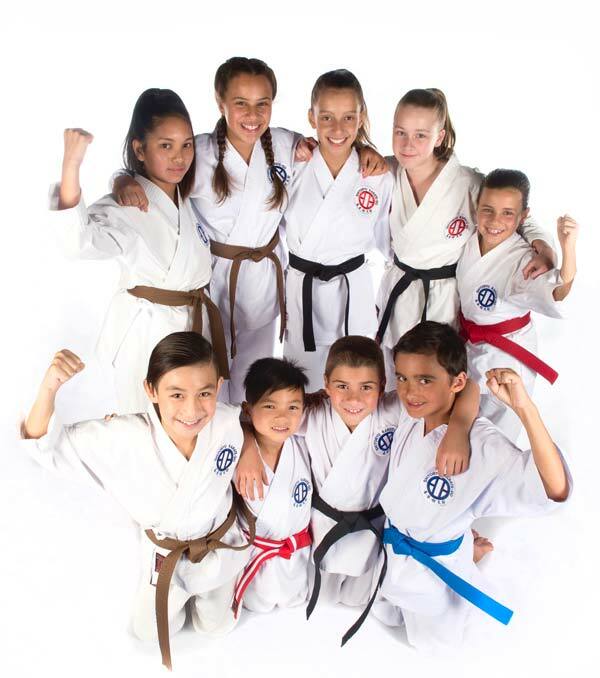 Kassis Karate Academy has been affiliated to the AKF for the last 30 years, and is one of the leading academies producing some of Australia’s best athletes. So we definately meet the eligibility criteria, next it simply comes down to the ranking of athletes around the world, as only the best of the best will participate! You don’t have to be fit or possess any particular skills to join. You just need to have a love of learning. We know how to cater for the different needs of different people. Our Melbourne karate classes offer a welcoming environment where we challenge everyone to be the best they can be. At Kassis Karate Academy you will embark on an educational course, become knowledgeable, confident, respectful and respected. Register for your FREE introductory session today! We are therefore recognized by the Australian Institute of Sport, Australian Sports Commission, and the International Olympic Committee. So you can be assured that the tuition provided by us is safe and properly accredited. For us as parents Kassis Karate ticks a lot of boxes: each week our kids learn self-defence, manners, respect, discipline. The Senseis get the best out of the kids, and we have found them very approachable at every level of our children’s development. Our kids love it! We often catch them practicing at home amongst themselves! Two years ago Dimitri started as a Little Samurai having fun mixing with other young kids. Now he's a cadet belt with much more focus and discipline. For us karate is perfect at promoting and nurturing this and more. Dimitri loves the environment at Kassis Karate. He keeps reminding us that 'a black belt is a white belt that never gave up'. We couldn't be happier. We even did the Japan karate tour and loved it. As parents we are so happy that we found Kassis Academy. It’s just the dojo to be. Our son Nicholas after 3 years of attending classes has become more confident, disciplined and has had a great opportunity to also meet new friends. Respect, responsibility, attitude are all keys to success - this is what it’s all about at this academy. Fantastic people Sensei Con and Rosanna Kassis. When I started karate I was unsure where I'd be and today I am closer to my black belt and it's all thanks to Sensai Con and Rosanna. They have improved me in self-confidence and discipline. I am also proud of my 2 children Steven and Clares' achievements who are both black belts. To get where we are today, would not have been possible if it weren't for the dedicated instructors. After watching my son’s classes and witnessing the patience and kindness of the Senseis, I felt for the first time that I perhaps could do it too. I am so glad I found Kassis Karate Academy as it has given me a calmer mind, fitness, more self-confidence, great new friends, and the sense of belonging. What I also like is its emphasis on the 'why' as well as the 'how'. We also learn about the history/philosophy of karate, not just the techniques. I have been a student at Kassis Karate Academy for about four and half years. I signed up when I was 58 looking to increase my exercise program. I have found the experience challenging, rewarding, and stimulating, from both a mental and physical perspective. My son was a prime motivator and we train together. The founders of the Academy do a wonderful job in catering for the various needs of students. From a holistic health point of view my sense of wellbeing has improved and with the help of the ‘sensei’s’ I have gained a more thorough knowledge of the spiritual significance of karate as a way of life. I reintroduced my children to karate after a two year break. We were previously part of another organisation, and it was challenging to convince my them to try again. After meeting Roseanna at the initial one-on-one meet, they were easily convinced. It has been nearly 18 months now since joining and it has been an inspirational journey. The principal Con Kassis is a fantastic mentor for my children, in particular my son Jesse. I have seen Jesse's confidence improve at school. I am so proud of what my children have achieved with Kassis Karate. Thank you Kassis for your outstanding service. We have three boys attending Kassis Karate Academy. Each has benefitted in their own way from Karate, be it the calming and focus on an energetic young mind or the increase in confidence from a shy child. As a parent we are reassured by the fact that our boys understand how to defend themselves. We would not hesitate to recommend this as an enjoyable and valuable sport.